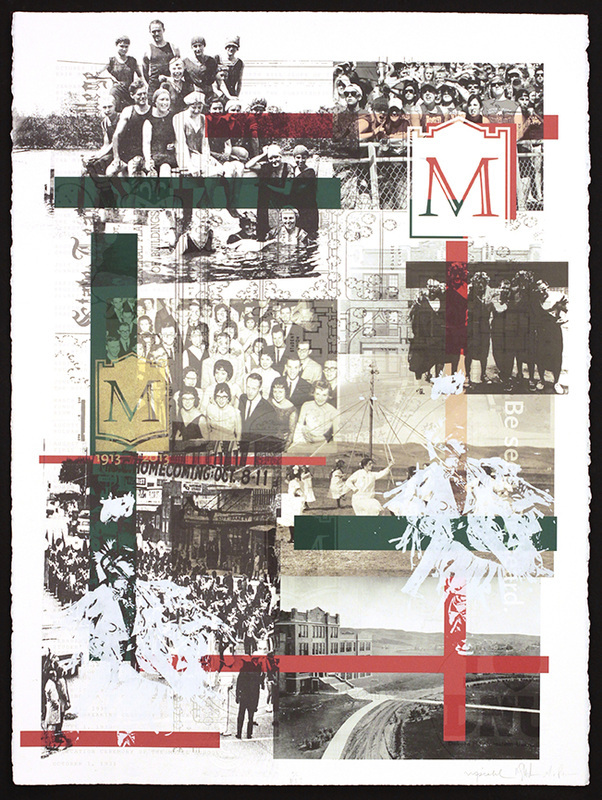 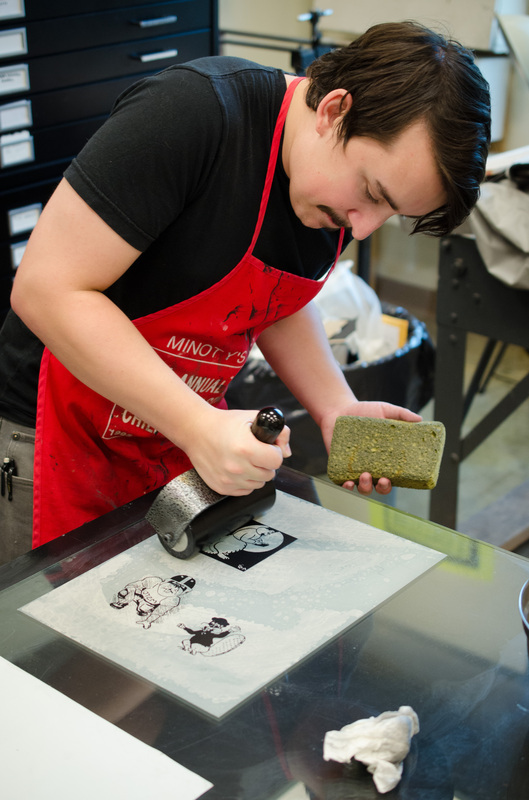 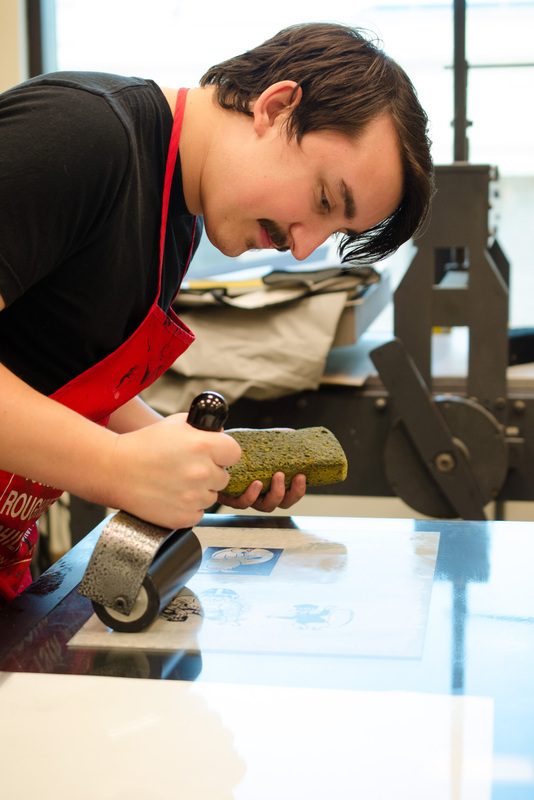 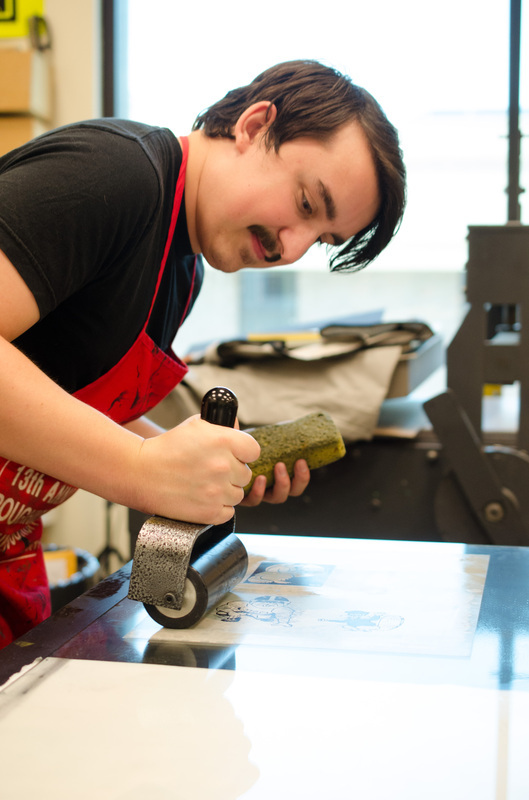 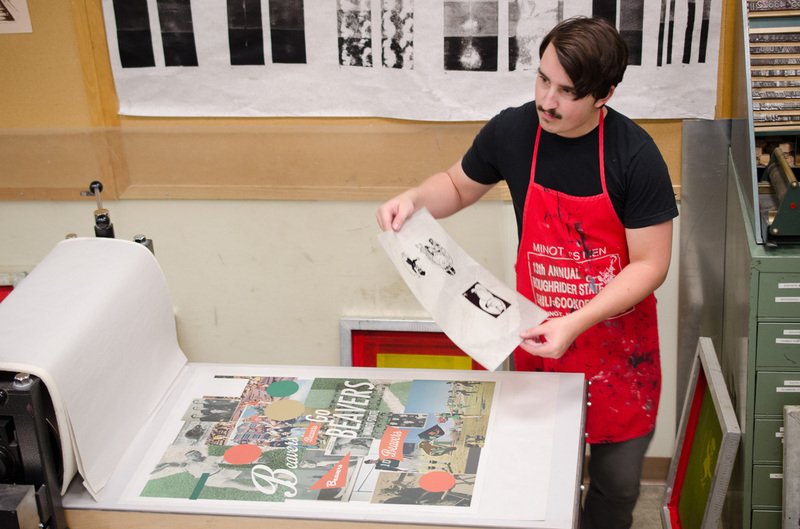 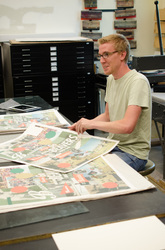 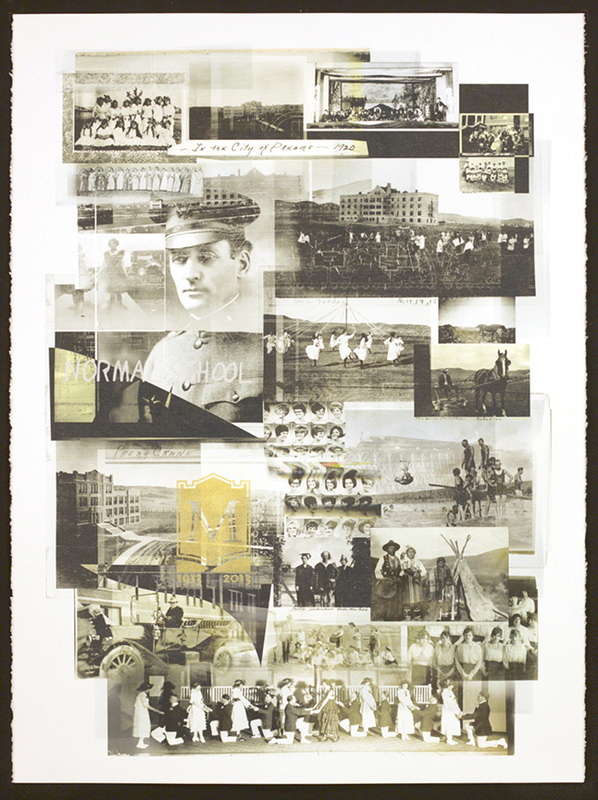 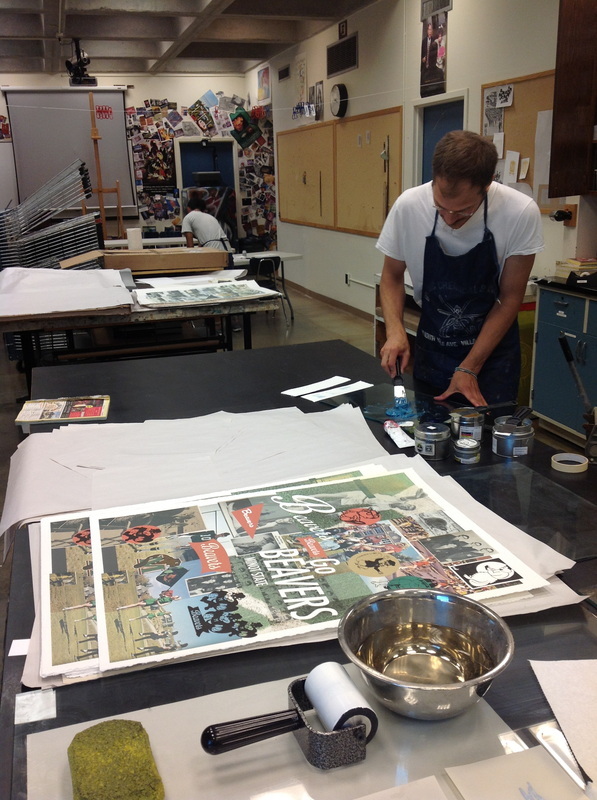 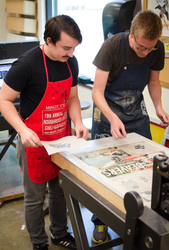 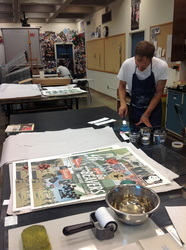 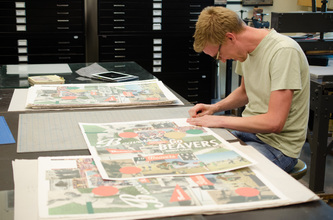 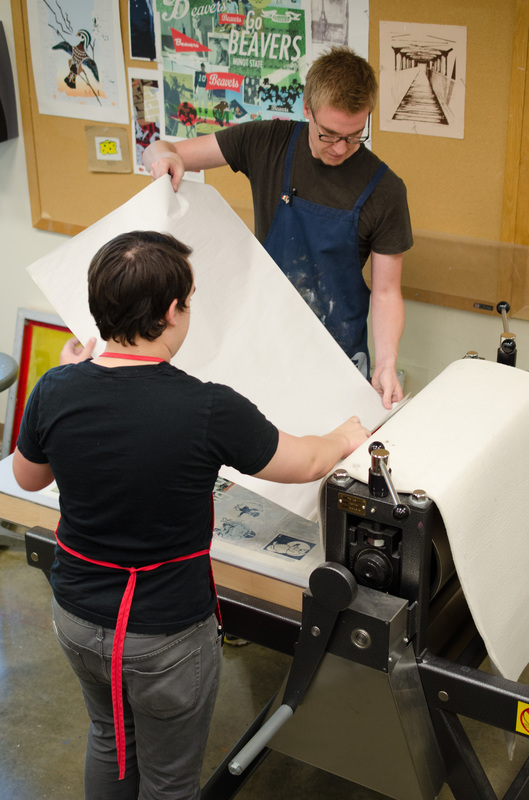 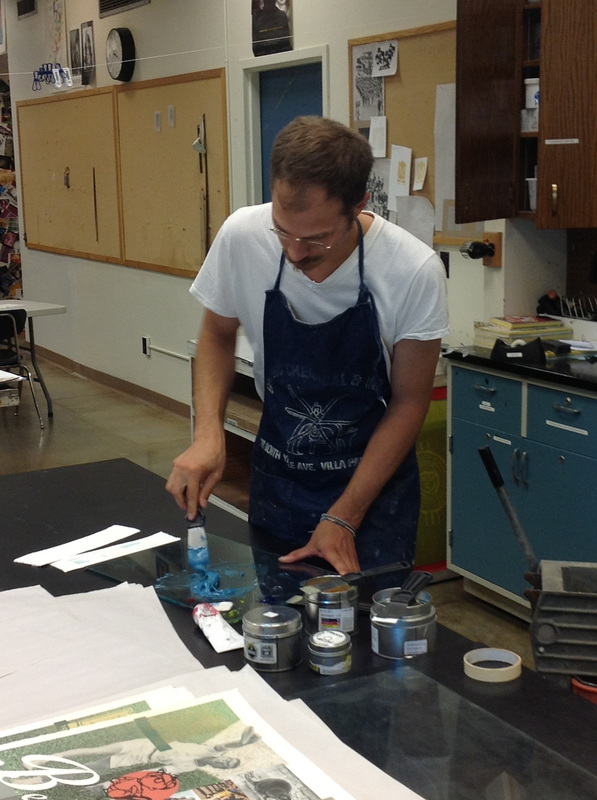 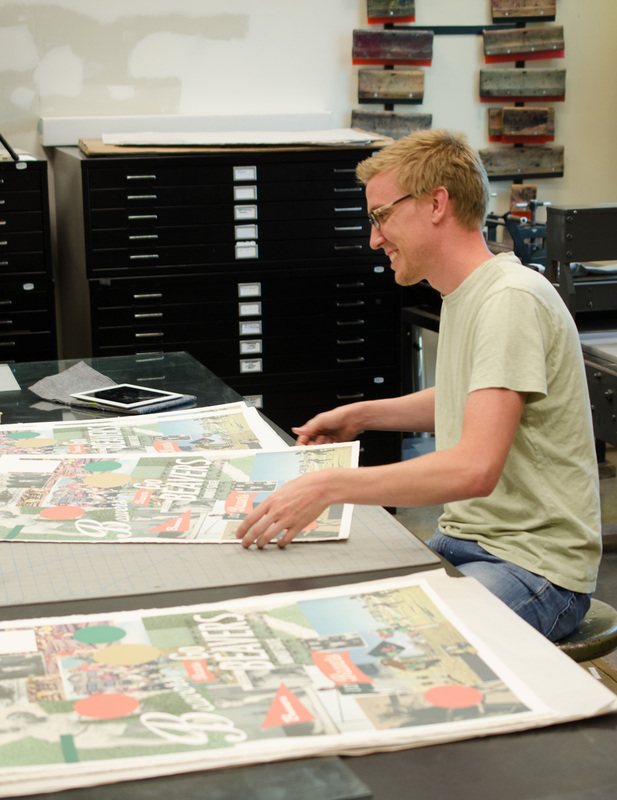 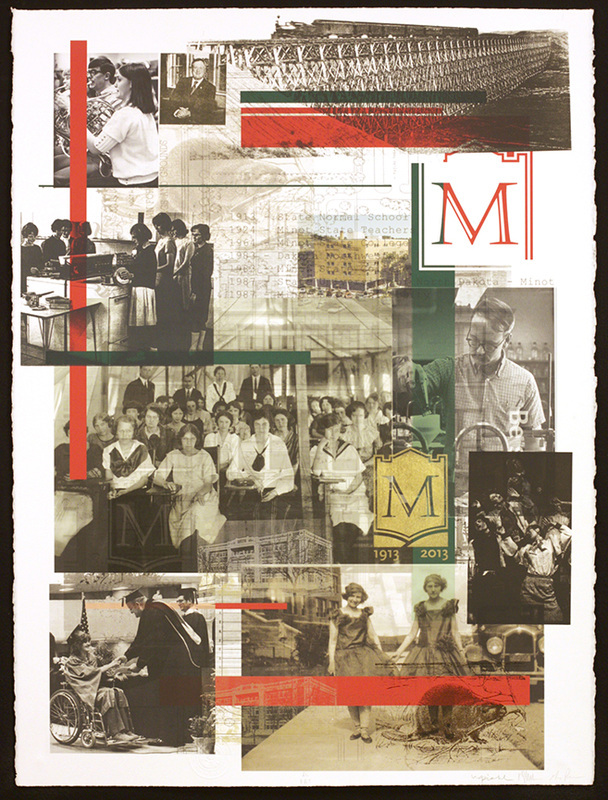 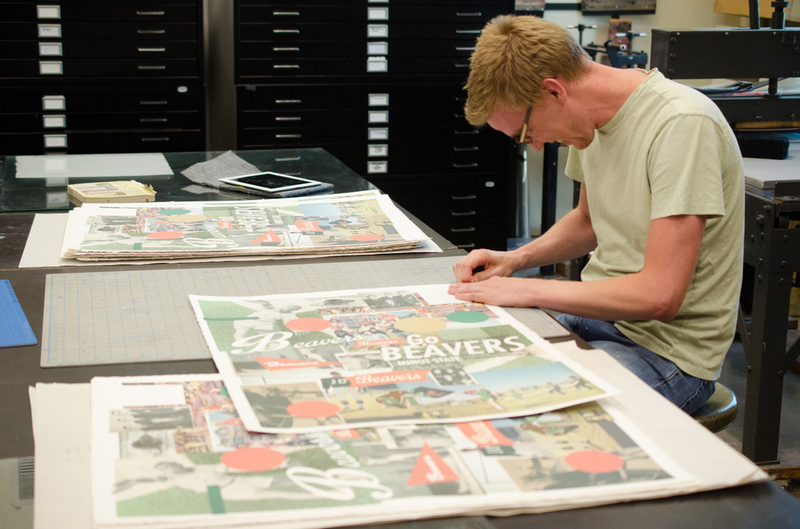 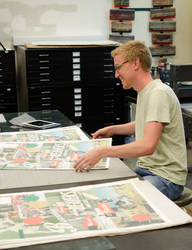 2013 marked the 100th year for Minot State University and to celebrate, Ryan Stander and Max Patzner (MSU Alum 2012) created a suite of prints recalling the history of the institution. 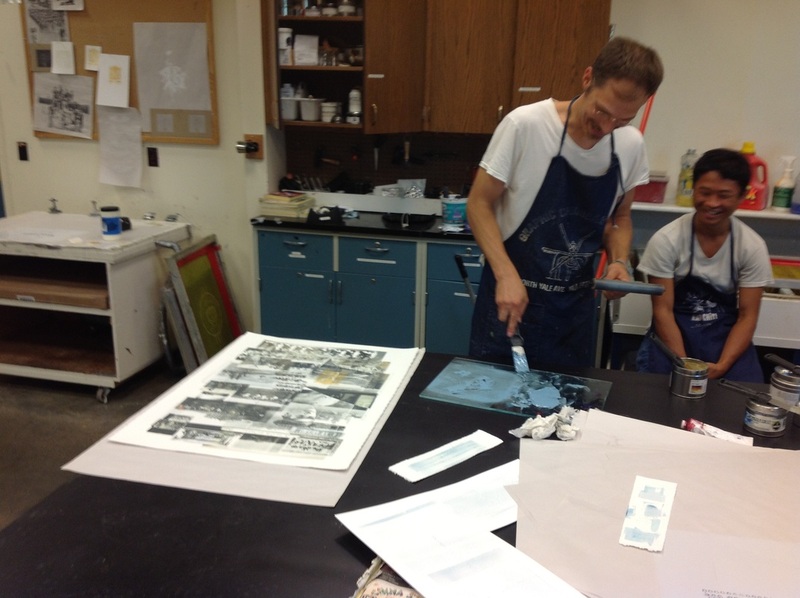 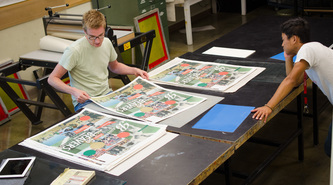 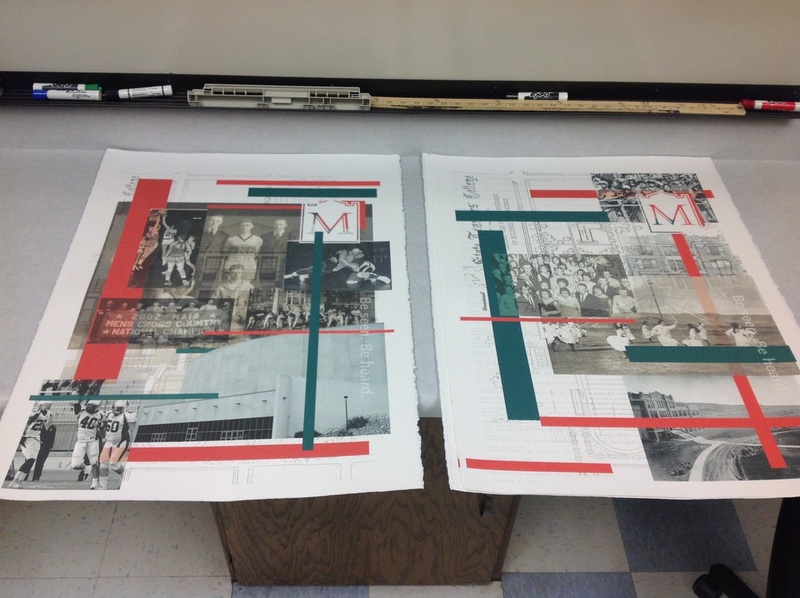 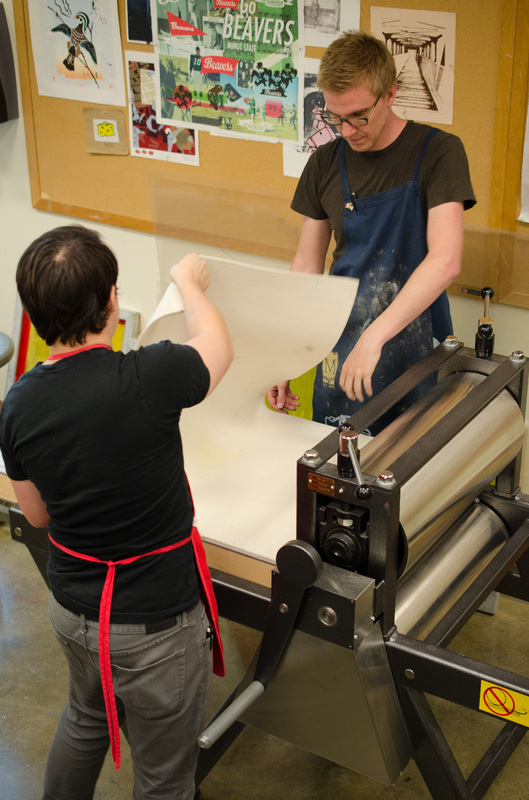 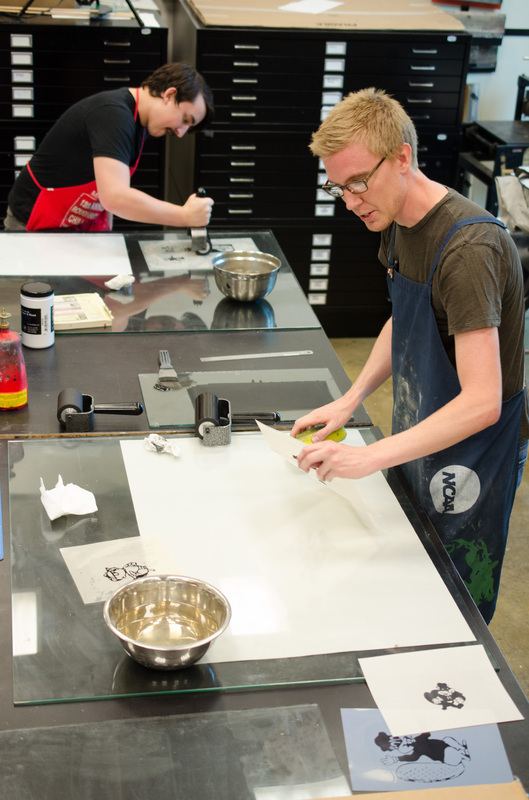 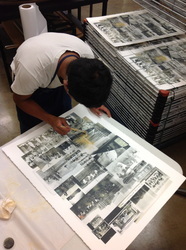 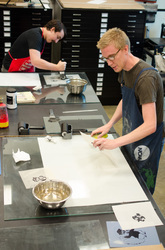 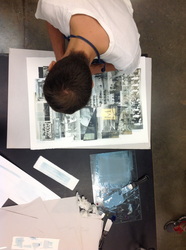 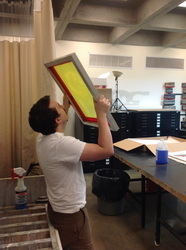 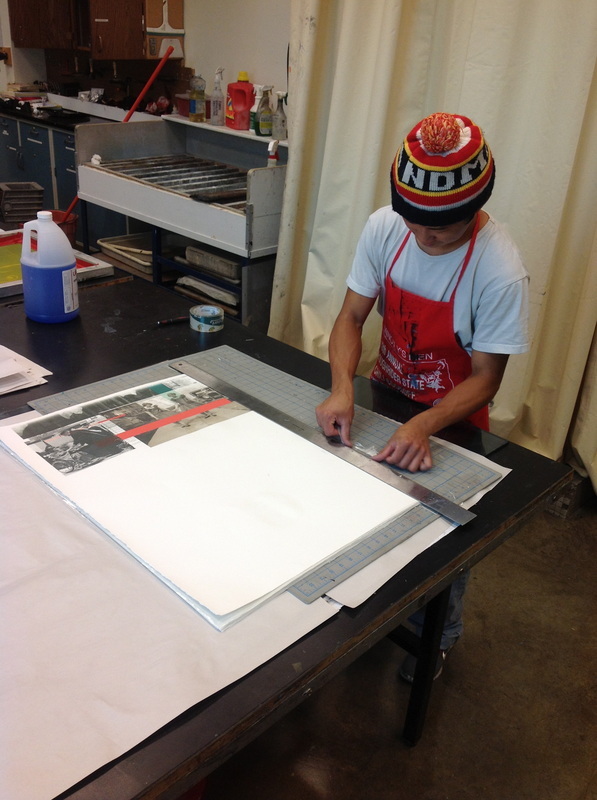 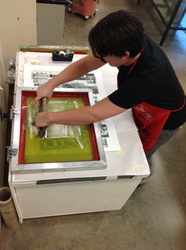 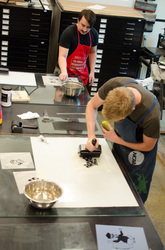 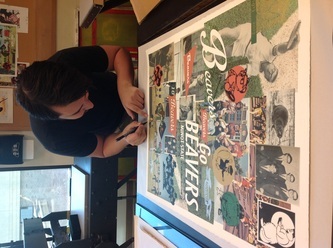 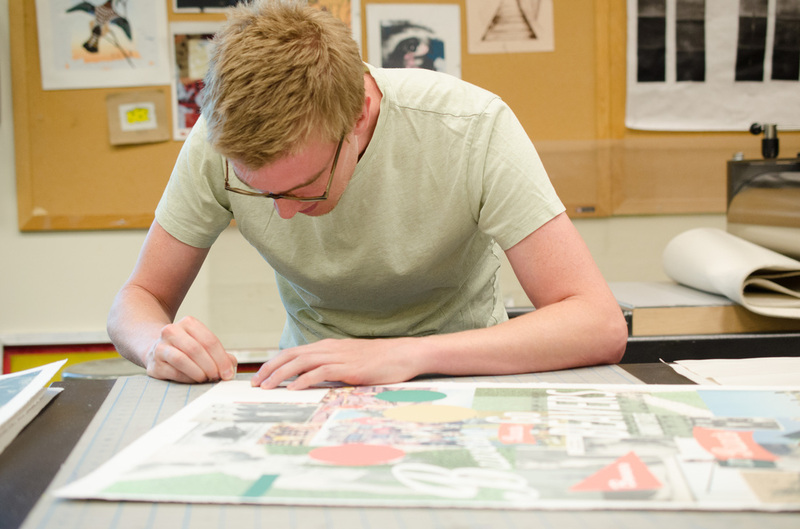 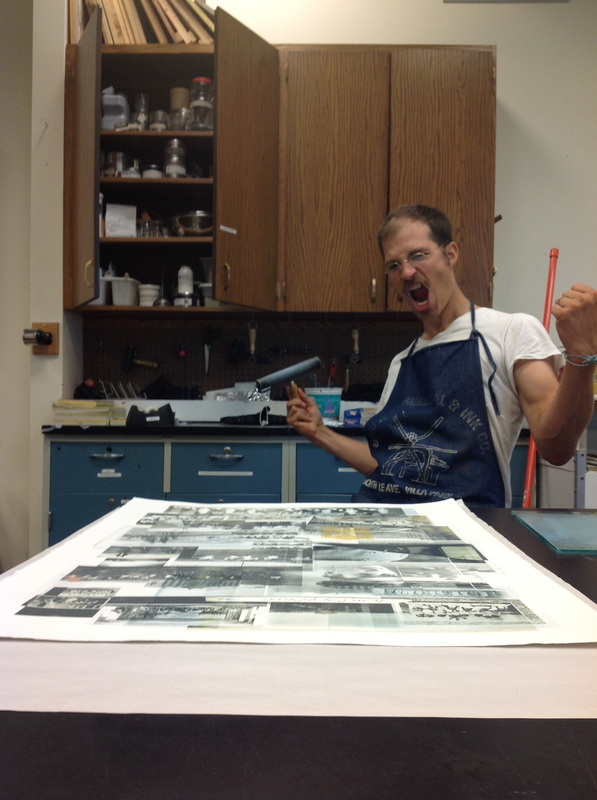 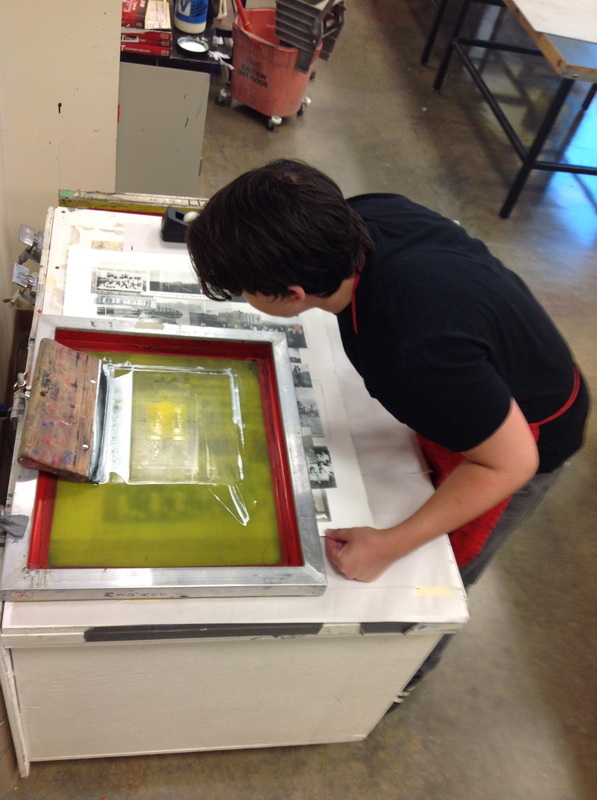 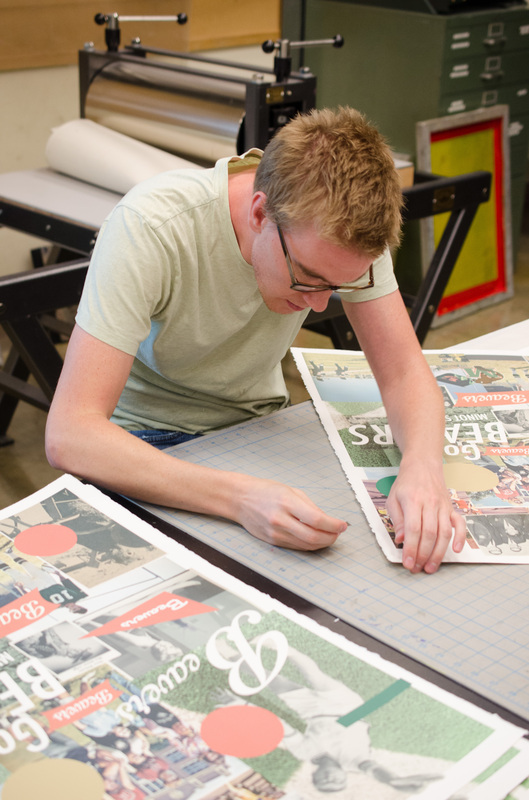 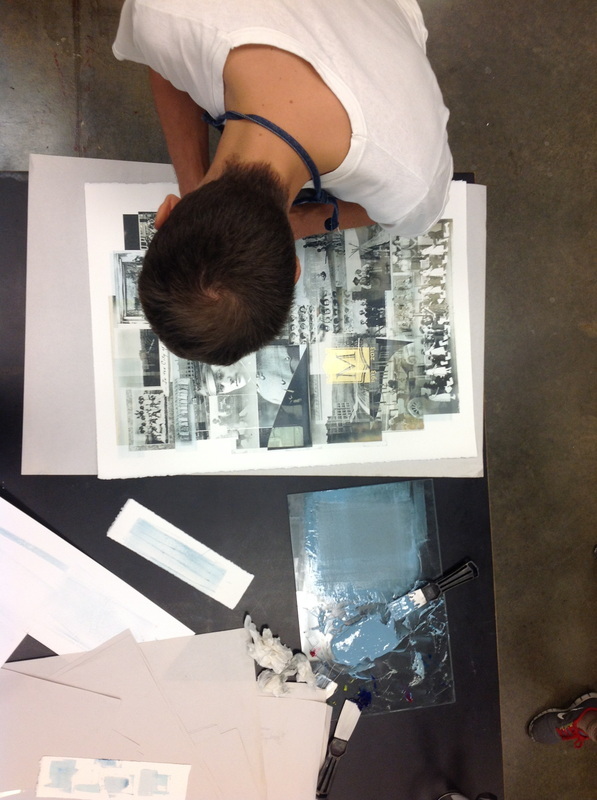 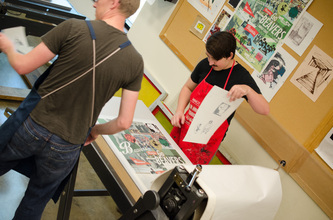 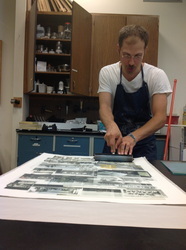 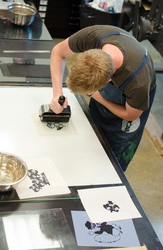 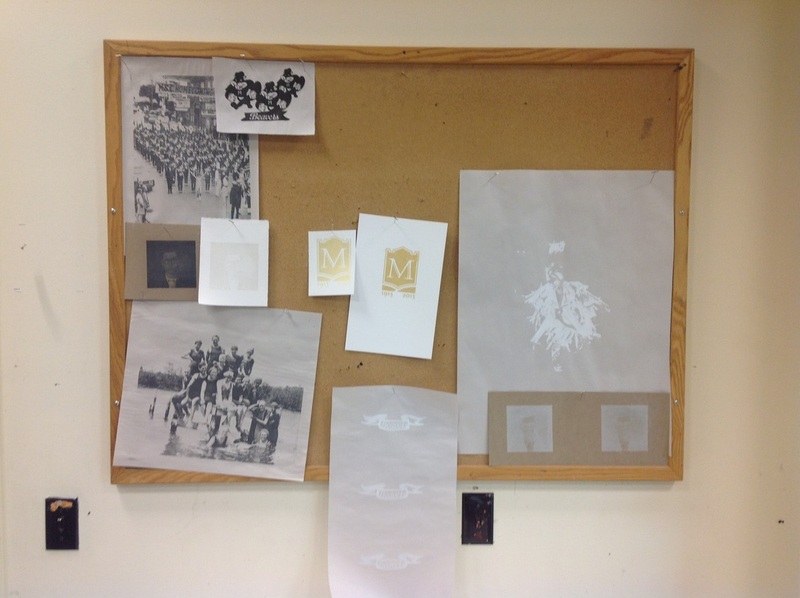 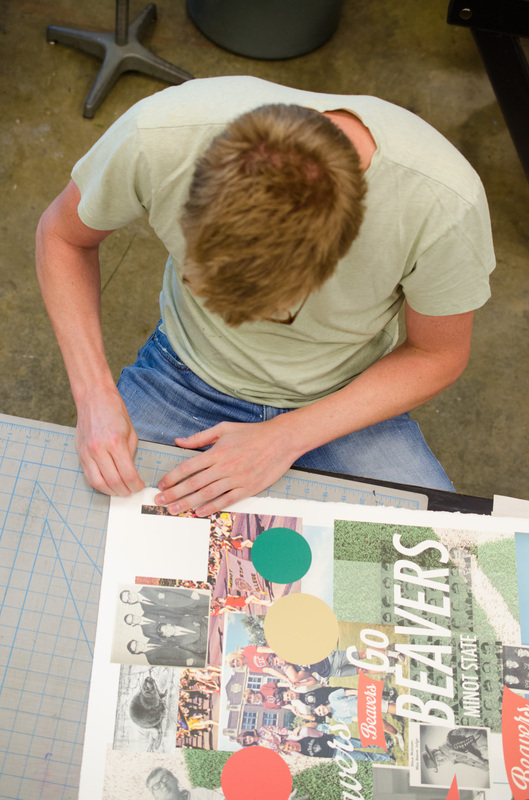 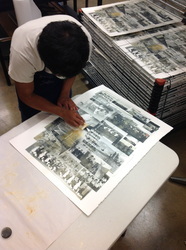 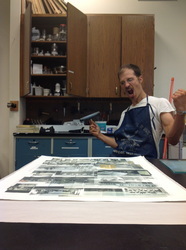 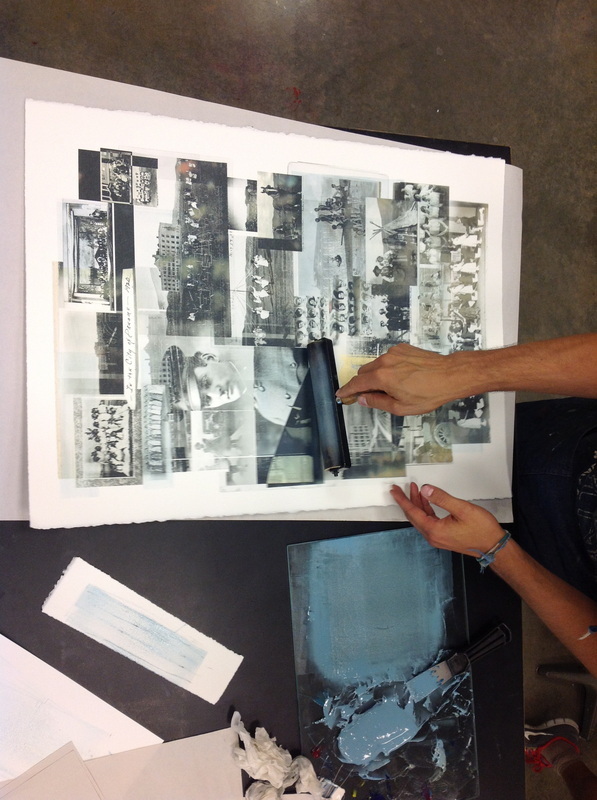 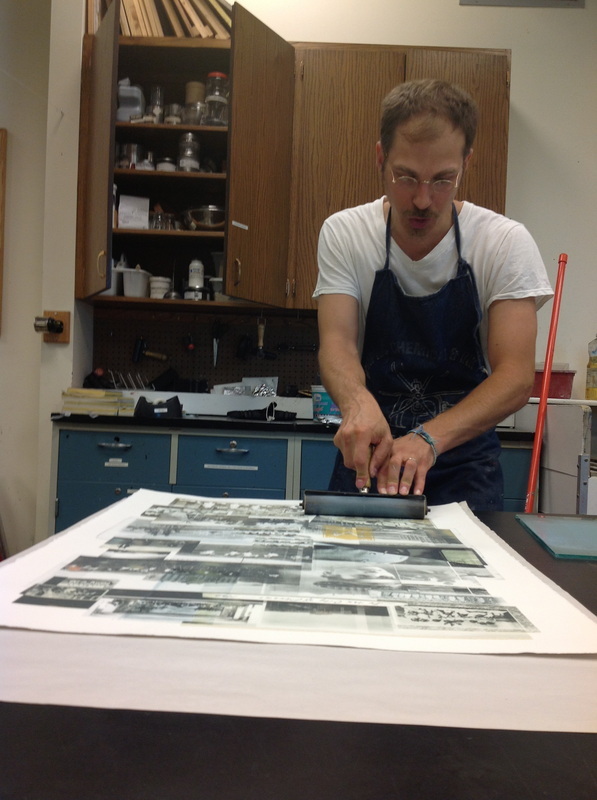 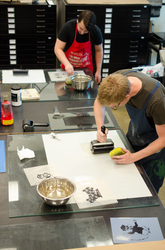 Funded by the MSU's Advancement Office, Ryan and Max created 5 distinct prints, editioned in 20, totaling 100 prints. 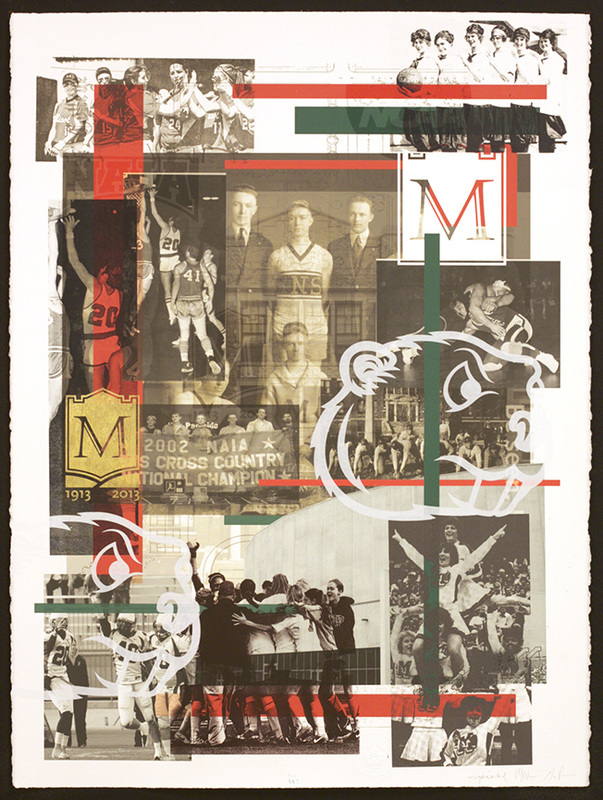 The prints celebrated various aspects of the University life: academics, student life, athletics, history and a nostalgic homecoming theme. 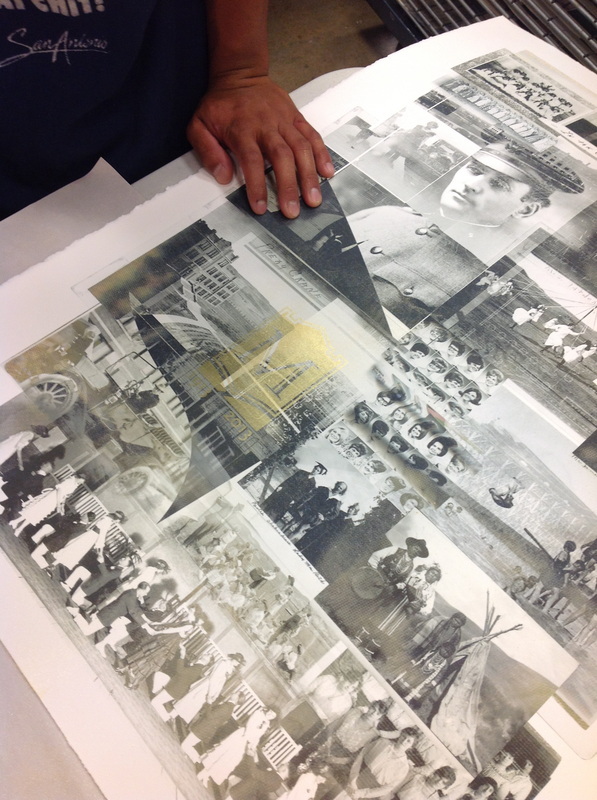 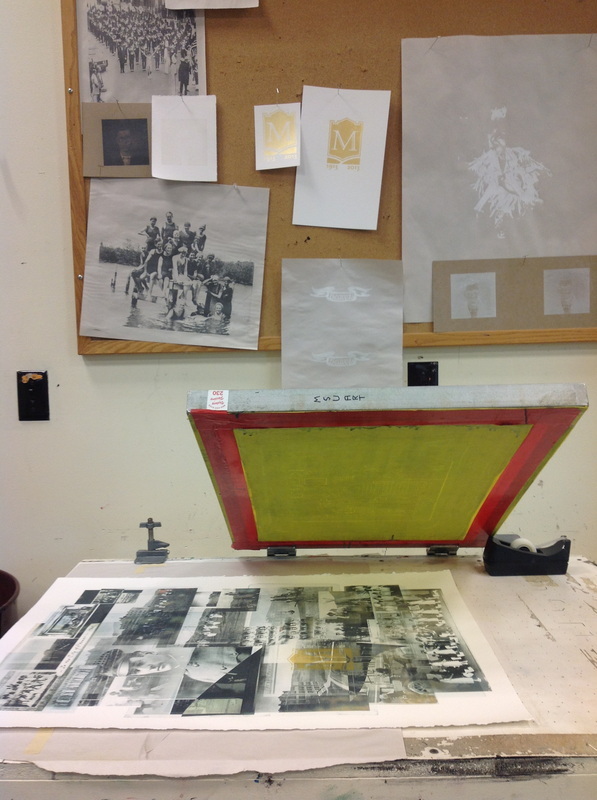 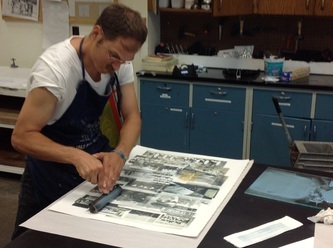 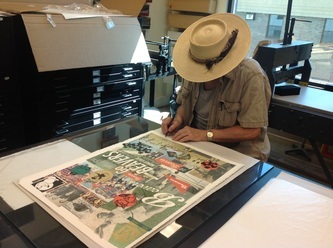 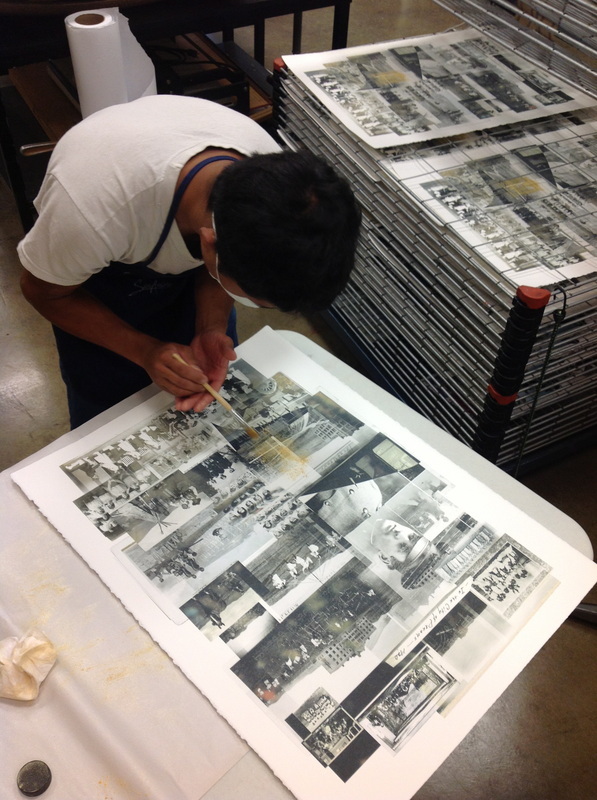 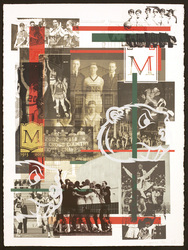 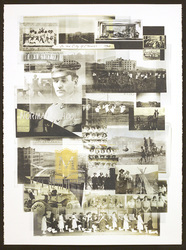 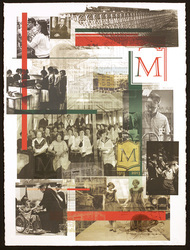 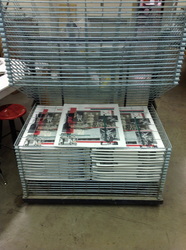 The MSU Centennial Print Suite is a collection of 5 distinct, hand-pulled, hybrid, variable editions. 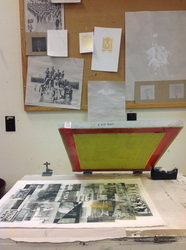 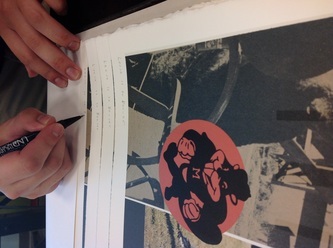 As a hybrid print, they have an archival digital print base with additional layers of screen print, lithography and chine colle. 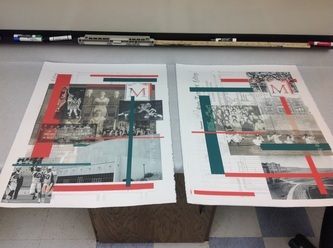 It is also considered a variable edition in that the prints enjoy a certain amount of variability in layer placement, color shifts, and color densities. 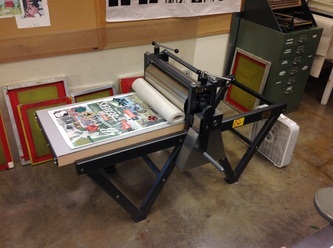 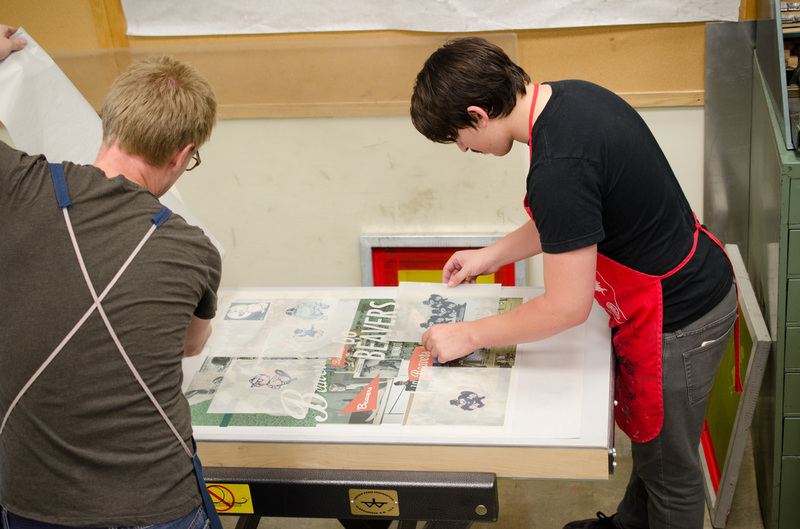 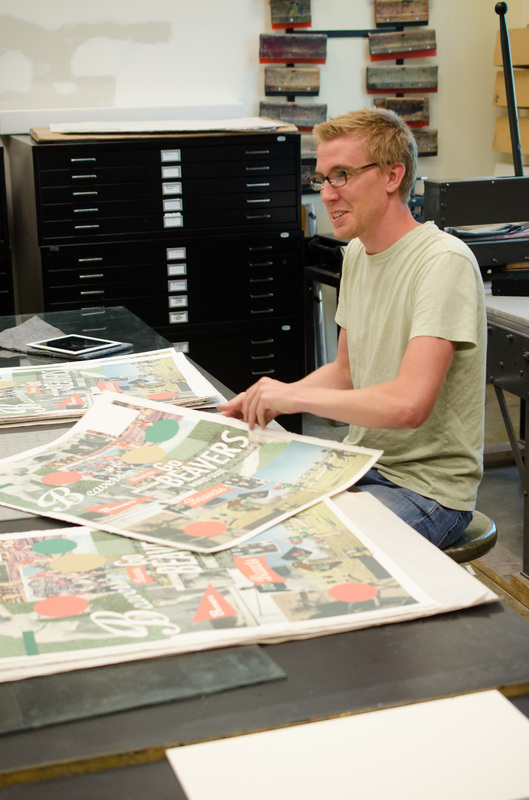 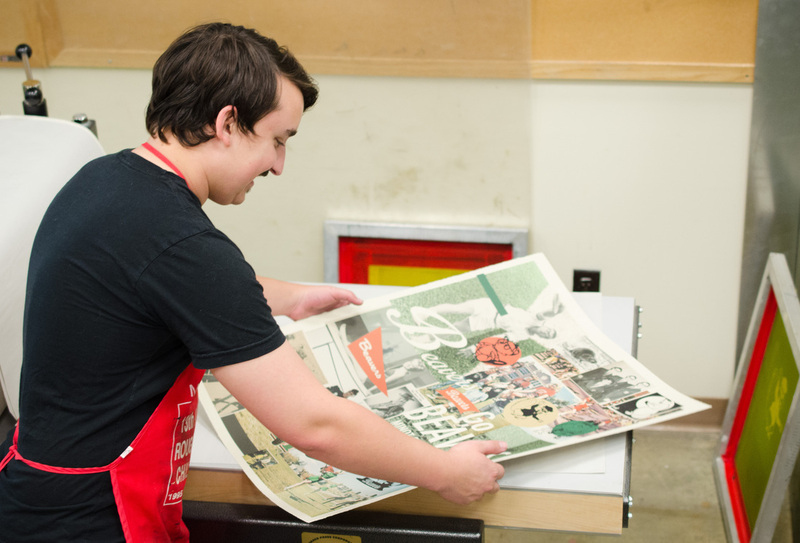 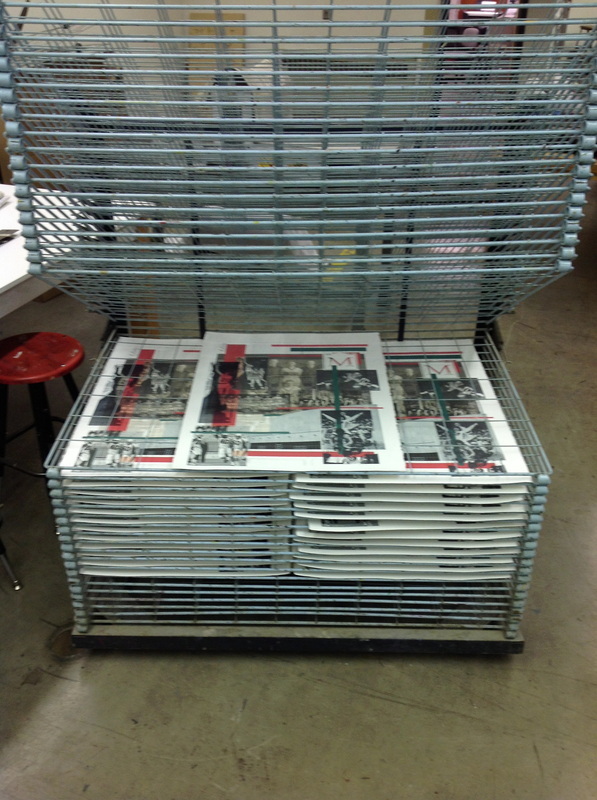 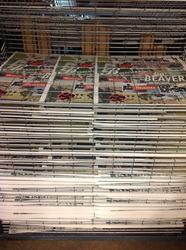 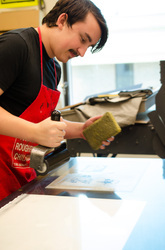 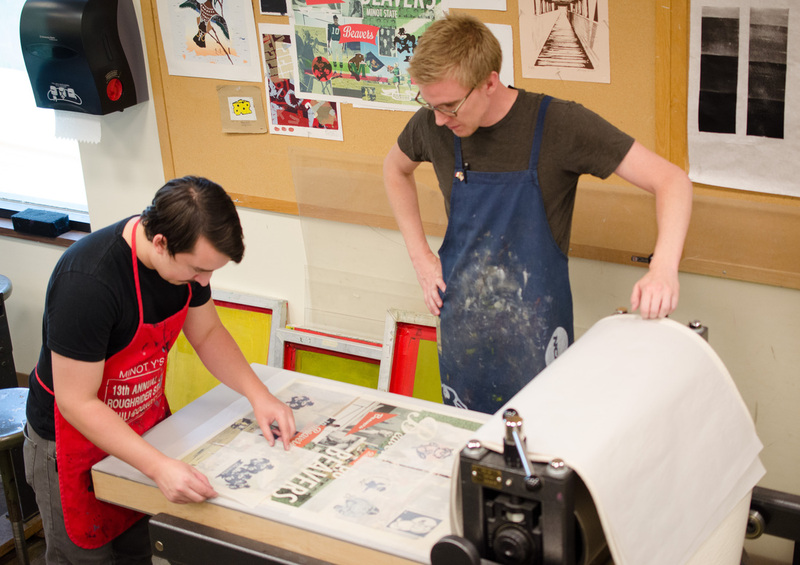 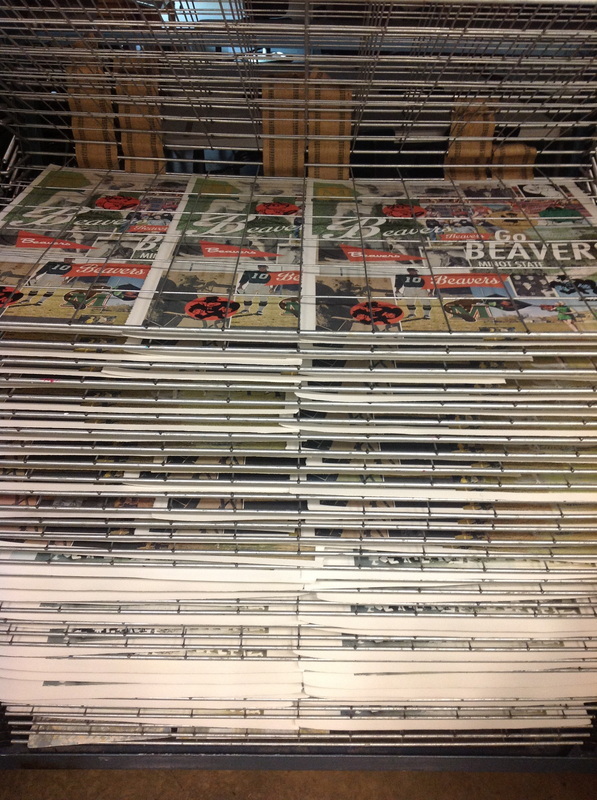 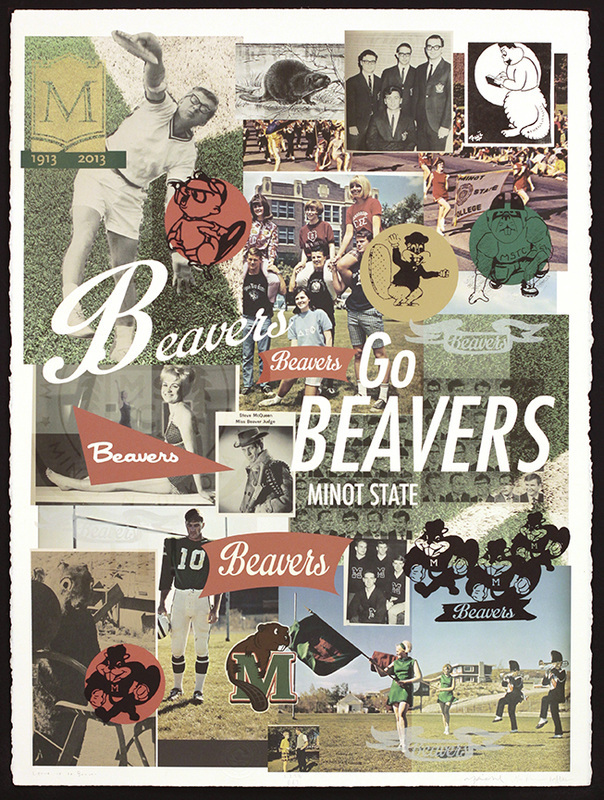 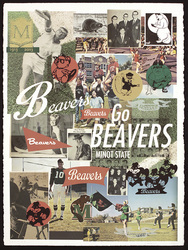 While these prints are officially outside of the FTP catalog, they did set the course for the Press as a lively part of Minot State University. 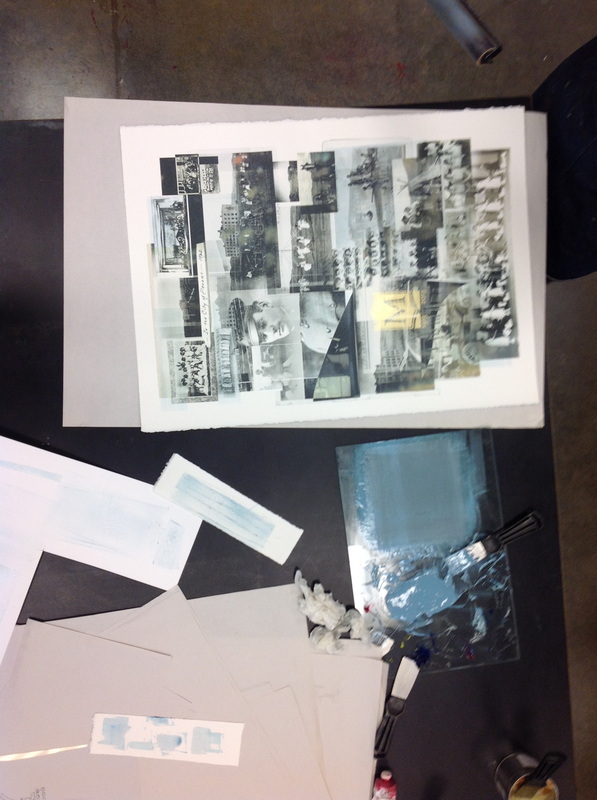 The Centennial Suite brought together students and faculty to collaborate on a meaningful project and resulted in new print knowledge and techniques for both. 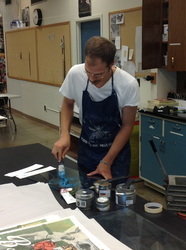 See the prints and the creative process in the gallery below. 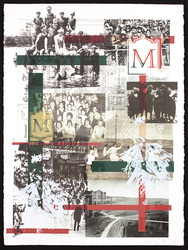 You may purchase these prints here.